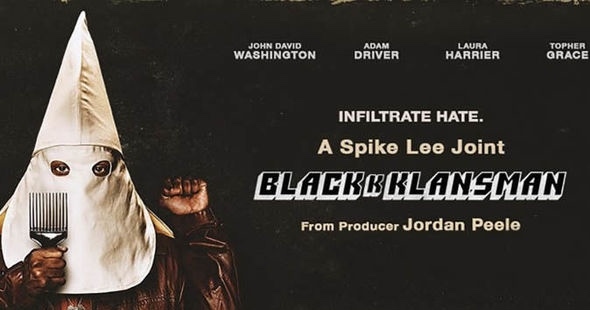 This BlacKkKlansman movie poster features Ron Stallworth wearing the KKK robes, but also holding up an afro comb and clenching his hand in a fist, which reflects his duality between characters and the struggle between the groups in 1970s society. Stallworth and Zimmerman are undoubtedly a dynamic duo, same as the energy that Washington and Driver bring to the big screen; the chemistry these two share is riveting and spectacular. Lee artfully illustrates what it means to be black or Jewish in America, and astutely juxtaposes the two narratives and how each character faces the bigotry. Yet it is the portrayal of authentic details in the movie that makes it so sensational. Stallworth maintains that there were some fictitious aspects to the story, such as Laura Harrier’s Patrice Dumas, a fierce activist and companion to his movie self. However, he confirms much of what happened in the movie is real; it is true that he discovered military members and veterans serving as klansmen, that he prevented numerous cross-burnings during his seven-and-a-half month investigation, and that he spoke to David Duke on the phone while attempting to expedite his KKK membership card and then held many conversations with him after this. Stallworth astonishingly describes the infamous Grand Wizard as a “pleasant conversationalist” in an interview with Time magazine. The movie is both socially and politically charged throughout, thanks to Lee’s commentary on modern day politics and the remaining undercurrent of cultural and institutionalized racism. In one scene in the movie, Stallworth talks to a fellow police officer about the probability of David Duke running for political office; he claims, “America would never elect someone like David Duke.” This is could be a reference to our current president, Donald Trump, who many believe is inherently racist due to his failure to condemn white supremacists, even David Duke himself. Towards the end, KKK members chant “America First” after watching The Birth of a Nation, and this again could be a connection to Trump’s other notorious slogan. Lee outlines the tension between police and black people in the 1970s in a way that is requiescent of our own time – his duality in depicting two opposing social forces, radical black activists and reactive fascists, is utterly outstanding. 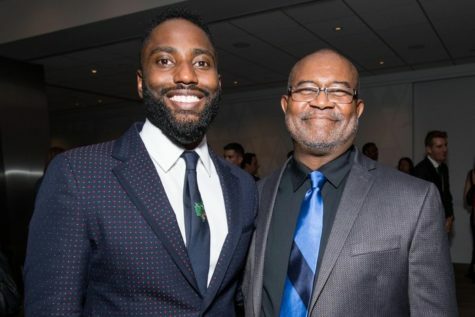 (Photo Credit: Emma McIntyre/Getty Images) The real Ron Stallworth (right), former detective and author of Black Klansman: Race, Hate, and the Undercover Investigation of a Lifetime with actor John David Washington. It is also worth mentioning the film’s poignant release date of August 10th, which is exactly one year after the Charlottesville riots in 2017. In fact, there is a direct allusion to these riots at the very end of the movie; Lee inserts several haunting clips, pictures, and eyewitness accounts of the clash between black activists and white supremacists in Virginia, including footage of the travesty that took place in which a white supremacist drove a car into a group of protestors and killed one white woman, Heather D. Heyer. This emotional culmination of the film undoubtedly meant to impart a message upon the viewers to follow them long after the credits stopped rolling. 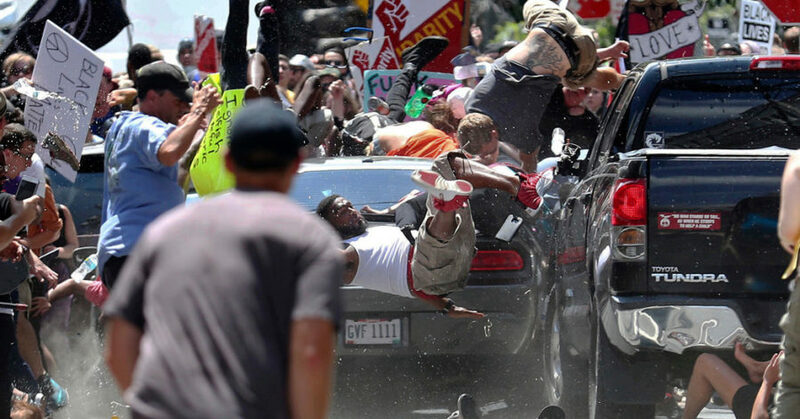 (Photo Credit: Ryan M. Kelly/The Daily Progress) Several people were injured and one woman was killed when a white supremacist drove into a crowd of protestors on August 10, 2017. Lee added photos like these in his tribute to the Charlottesville riot. 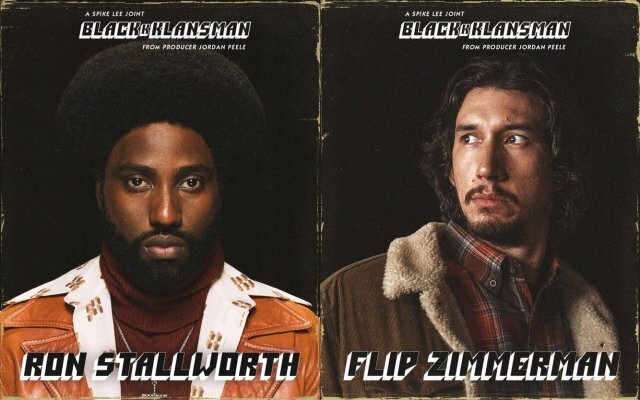 While BlacKkKlansman has been widely celebrated, garnering high reviews on practically every film review website out there, including a 95% Fresh on Rotten Tomatoes, it has also acquired criticism from people all over the social and political spectrum. Despite the judgement by some, it is still an undeniably American story; captivating but sickening, powerful but shameful. It’s a old story highlighting the renewed, timeworn bigotry and hatred that has gripped our country, which is what makes this the cinematic pinnacle of 2018. Nah I’m just messing with y’all. 10/10 would highly recommend reading this article. Lucy Terry is a beast.